BTS on Tuesday appeared on TV in the US on “The Late Late Show with James Corden” for a second appearance, following the previous in December last year. 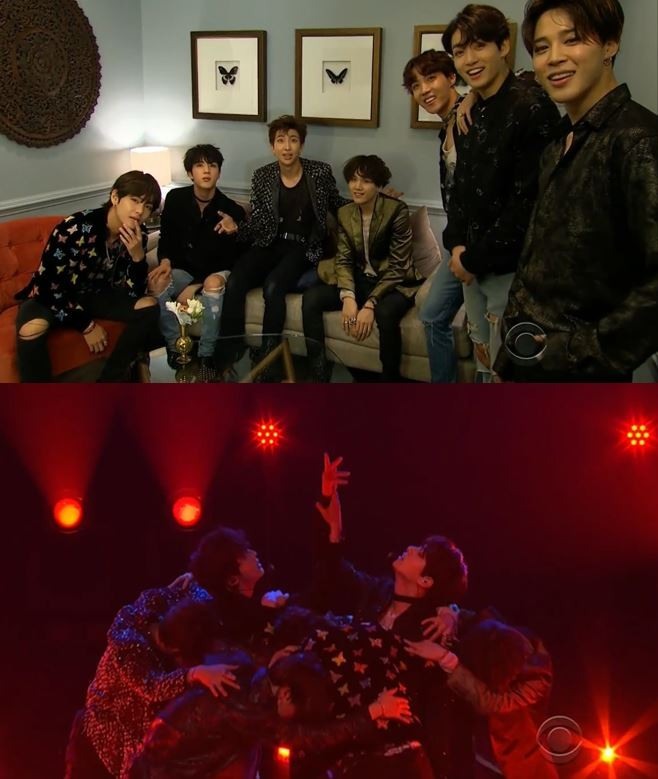 With Corden‘s introduction of the K-pop act’s hit “Fake Love,” BTS went on stage to a thunderous reaction from the late-night audience. The show airs on CBS.